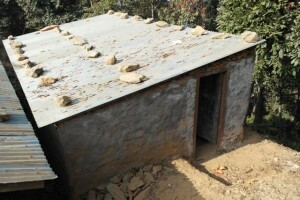 The Youth Movement for Environment have organised the building of new toilets in a school in Gorkha, to replace the previous substandard, unhygienic facilities that children avoided using. The aim will be to roll out the toilet building project through poor schools throughout Gorkha, and work in combination with our Hygiene Education Programme for Schools to encourage good hygiene and sanitation practises in the area. Update from Volunteer Naomi Cairns January 2013. 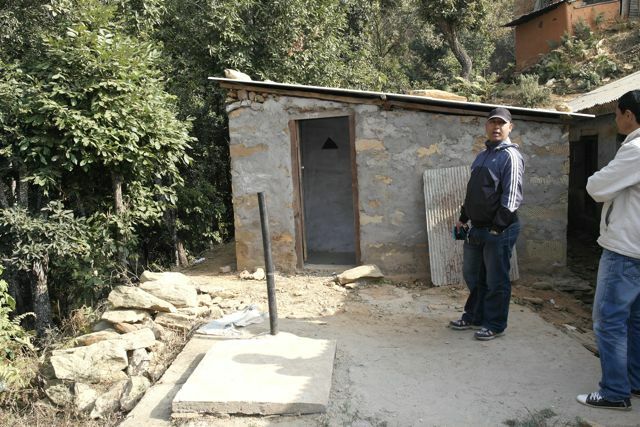 I visited the toilet project at Gorkhali lower secondary school with Yung Kumar Shrestha, the school is about 3km from the main Gorkha bazaar. On first appearance I was impressed at the size of it, as I was expecting a smaller building, but it was a decent size, with a section for boys and girls. The infrastructure of the building was sound and was made from local materials by local people, which was what we had requested. Aesthetically the building wasn’t great, it was concrete and stonewalls, and could do with painting; I requested this to the headmaster and he said that this would happen, as it is not completely finished yet. The boy’s section has one toilet and a section of urinals, which I was told was not big enough for the amount of students at the school so this may be extended. The girls section was the same size as the boys, with one toilet and also a section of urinals, which after we spoke, which when we spoke said was unnecessary for the girls and maybe this could be changed to more toilets. At the moment the toilet is being used by staff, and students. There is still some progress to be made, but I am sure this will happen. Health Education and Sanitation In 1995, the members, encouraged by the volunteers, and helped by the headmaster, a doctor, a nurse and a sanitary engineer, held a seminar on health education. 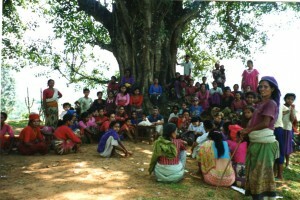 This involved about 40 women from surrounding villages. The information gained at the seminar was used by the delegates to give advice and help their own communities. The following year when Linda returned she was able to witness the literacy classes where the ladies were thrilled at having the opportunity to learn to read. 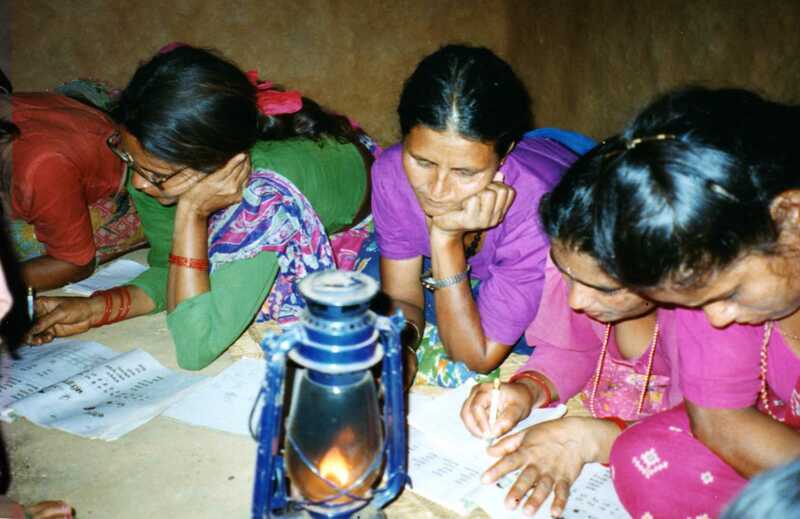 This in turn helps the ladies see the importance of education and are more likely to send their children to school. Over the years, GDS has funded numerous literacy classes, including classes held in a nearby town, Sauli Bazaar, and another local village, Taranagar. 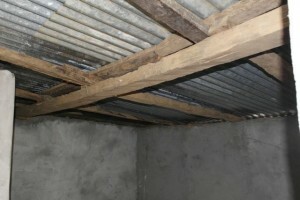 Trustee Linda Blunt provided funds for the building of a small community meeting building in Sauli Bazaar, which was used for meetings and literacy classes for the local branch of the GWA. 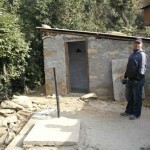 Water Project In 1999, GWA made a proposal for a drinking water scheme through Water Aid and Nepal Water Aid (NEWAH). A feasibility study was done by volunteer engineer Mr.Ron Hook from the UK and resulted in a programme of water, sanitation improvement and health education. Since 2007, the GWA have been instrumental in running regular Hygiene Education Programmes for local schools. See the Projects section for more details. Small business initiatives In 1993, a small plot of land was lent to the GWA by Purusotum Aryall. 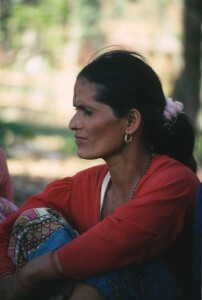 The land was used to cultivate vegetables as a pilot for self-help schemes. Later in 1997 help and encouragement was given by volunteer from Writtle Agricultural College (Essex, UK) in crop cultivation and related activities. Sewing Machines and Classes In 2007, GDS provided funding for five sewing machines and sponsored several course of sewing classes for members, which covered making basic everyday clothing items. The course was very popular and some women have gone on to make clothes for their family, friends and neighbours. The GWA are now keen for the women to further develop their skills in sewing, with a view to making a profit from their new found skill. 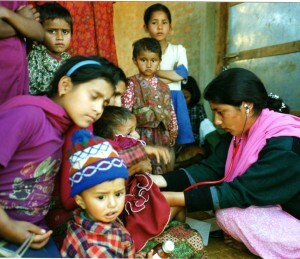 For over 10 years the charity funded clinics in rural areas of Gorkha District. Under the management of the already established Youth Movement in Gorkha, This project brought together a medical nurse from the hospital, volunteers from the Youth movement and funding from GDS. The funding paid for a porter to carry medicines and equipment and for the vaccinations and medicines required for expectant mothers and newly born babies. Five clinics were undertaken each month over ten years with some clinics assisting up to 30 women and children each month. In the later years of the project then the clinics at the hospital have improved and in turn the numbers attending the rural clinics declined. 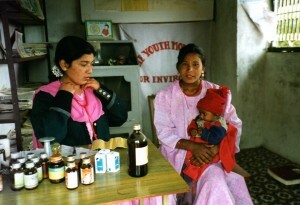 A rural clinic organised by the Youth Movement. 5 clinics per month were funded by the charityThe more specialist help given and the care available in child birth at the hospital has reduced the risks of rural child birth and child care and so the clinics were no longer appropriate. A nurse training programme is available in Gorkha which aims to develop basic skills needed for nursing in a rural village. Each year one student from a poor rural location who has an interest in nursing is selected and is sponsored by the Charity. The training is undertaken at Gorkha Nursing Academy and consists of 15 months medical studies to include practical application of skills. 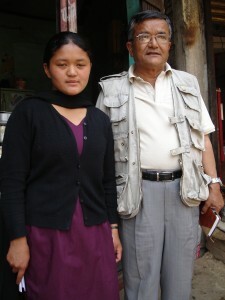 The aim is that when studies are complete the student will gain employment in a rural location in the Gorkha district. This sponsorship programme has been running for the past 10 years. £300 will provide the complete course of training to include tuition, uniform and fees but living costs need to be met by the student.